"I don't label myself strictly an anarchist or a socialist or let alone a libertarian or something like that..." says Jello Biafra, who seems fired up after returning from emceeing with Ministry in Cleveland while this week's Republican National Convention was brewing. 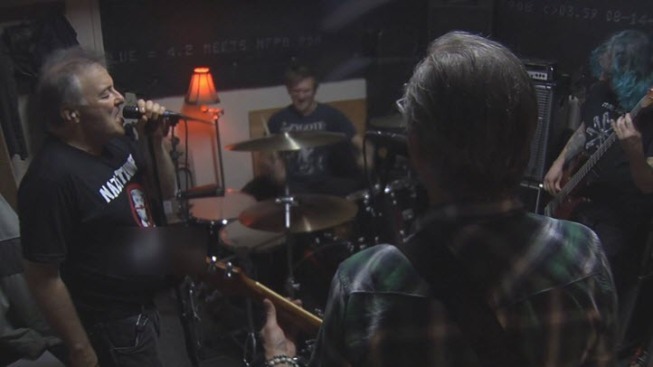 "Well that, but I go issue by issue," says Biafra, the former Dead Kennedys front man and now front man of Jello Biafra and The Guantanamo School of Medicine, who are set to play at The Ritz Club in San Jose on Saturday, July 23. Biafra, who offers plenty of political observations on and off the stage, keeps his lyrics poignant, his interviews (I find) intense. "I can't boil down the political message into soundbites -- it depends on the song, it depends on the issue." he said. "I don't mind making blunt suggestions. That's kind of my stock and trade. "What really matters is the local elections. It matters who the mayor is. It matters who the board of supervisors are. That matters. School boards matter. We have to pay attention to these things and we of the western democracies are almost alone in having the privilege of the ballot initiative, the referendum. When people like us show up (to vote in local elections) we stand a better chance of getting better people into office, getting better laws passed, and taking our country and society back." Biafra adds you should "vote for who you believe in," reminding us we don't have to vote for the big two. So, if you're not voting this weekend and want to catch Jello Biafra and The Guantanamo School of Medicine, you can do so at The Ritz in San Jose. Dusted Angel and Noise Clinic are scheduled to open for the band in San Jose. Robert Wellington has been an NBC Bay Area staff photojournalist for over 16 years.